A standing seam roof panel system is designed to keep moisture out by concealing the fastener which are the most vulnerable areas of a metal roofing system. As an added bonus, the design also allow for quick and easy installation. 5V Crimp is an exposed fastener metal roofing panel system used on residential and light commercial buildings. Over many generations 5V metal roofing panels were used on old farm buildings and other rural buildings. However, through the years homeowners and architects have sought after 5V panels for application on residential homes due to their aesthetics recognizing the clean lines, tradition “Old Florida” feel, and proven durability. Painted Galvalume Steel, Kynar paint (maintains color longer about 30% more expensive) or polyester paint. 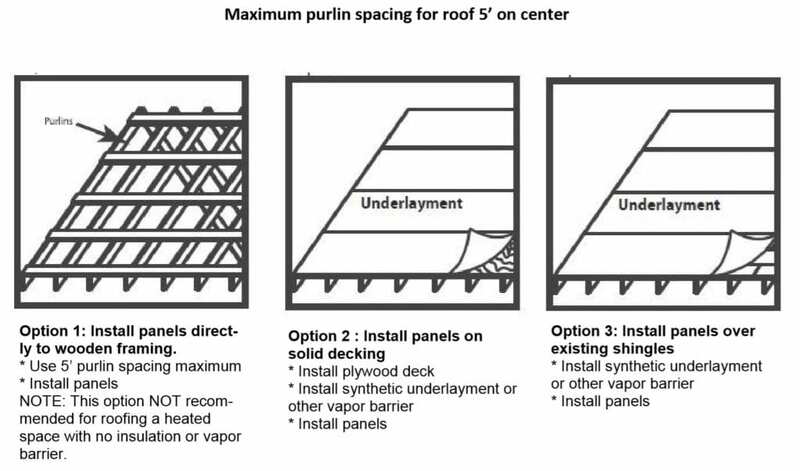 5V roof panels must be installed on solid decking of at least 15/32 plywood 1″x4″ over 15/32 plywood. A waterproofing membrane is required when installing 5V Crimp. 5V Crimp roofing panels can be installed over existing shingle roofs under most circumstances. 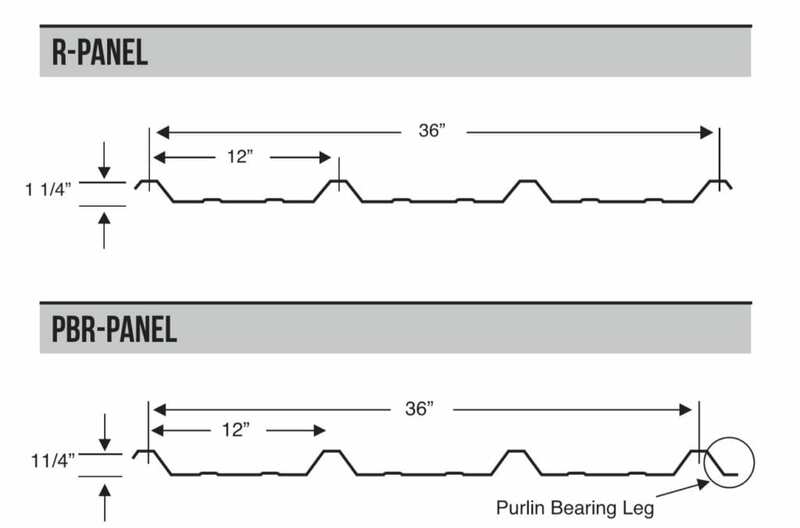 1″ x 4″ and purlins should be spaced a maximum of 2′ centers. 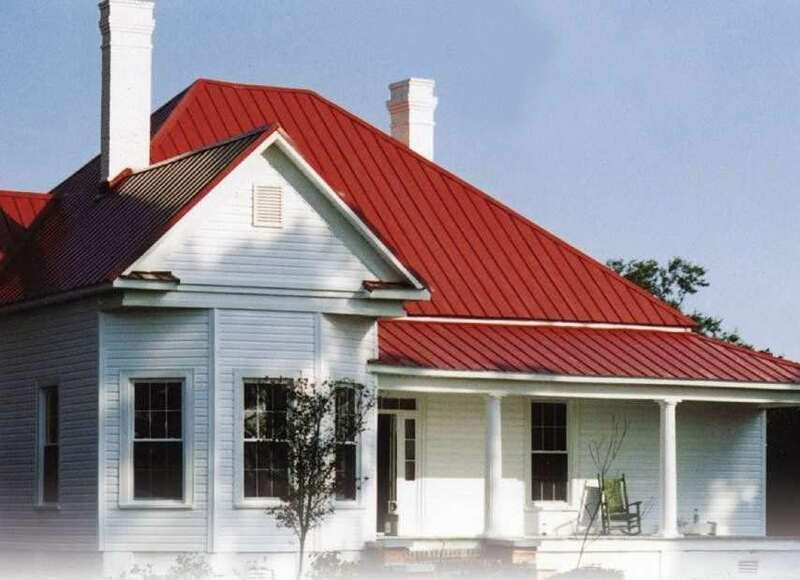 Ribbed roofing panels are the most commonly used metal roofing panel among residential applications. Ribbed metal roof panels are highly desired as they are the most economical metal roof option while also adding additional aesthetic details with their multiple low profile ribs. R Panels and PBR Panels are a versatile option for both residential, commercial, and agricultural roofing applications. However R Panel is more specifically designed for wall applications while PBR Panels has an added purlin bearing leg for better support for roofing application. Traditional R-Panel absent of the purlin bearing leg is becoming more scarce among manufacturer as they just produce PBR panels to be used in both roofing and wall applications. R/PBR panels are structural in nature and were designed for industrial, commercial, and steel frame buildings. R Panel/PBR Panel are installed with exposed fasteners and can be installed both horizontally or vertically on either open framing or solid substrate. Due to the taller ribs, R Panels and PBR Panels are stiffer and can span up to 5′ between purlins providing better resistance to flooding of the rib. PBR metal roof panels were designed for industrial, commercial, and steel frame buildings. PBR metal roof panels have the strength on roof pitches as low as 1:12 and can span up to 5′ in length between purlins due to their taller ribs making them stiffer and stronger. Exposed fastener design. R Panel is designed for wall applications while PBR panels have an added purlin bearing leg which provides better support for roof applications. Minimum Slope is 1:12 however there are special installation requirements for slopes less than 3:12. It is important to follow the manufacturers installation recommendations. 1″ x 4″ and purlins should be spaced a maximum of 5′ centers however it is most common to install the 1″x4″ on 4′ centers. PBR Metal Roof Panels can be installed over open framing or solid substrate. 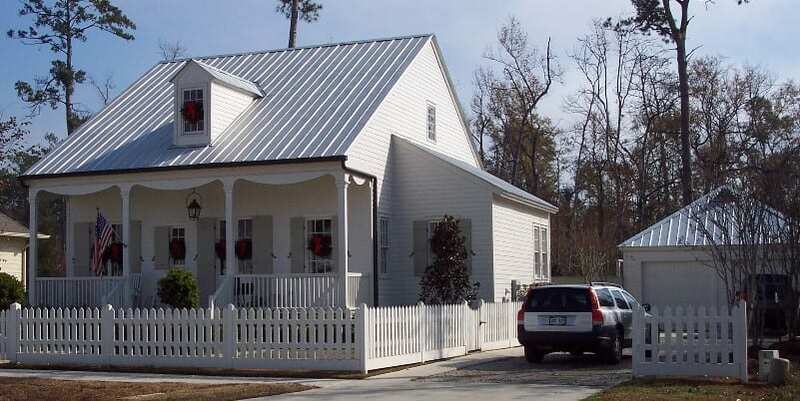 Corrugated metal roofing panels have been in use for decades on old residential and light commercial buildings giving them a classic tradition look. Corrugated metal roofing panels come in many different varieties covering various coverage areas with waves/ribs of various heights. Corrugate metal roofing panels can be used on residential homes, barns, shed, and light commercial buildings. Corrugated panels are also used for siding, wainscoating, interior accents, and other architectural uses. When installing corrugated metal roofing panels you should ensure the slope of the roof is at lease 3:12. 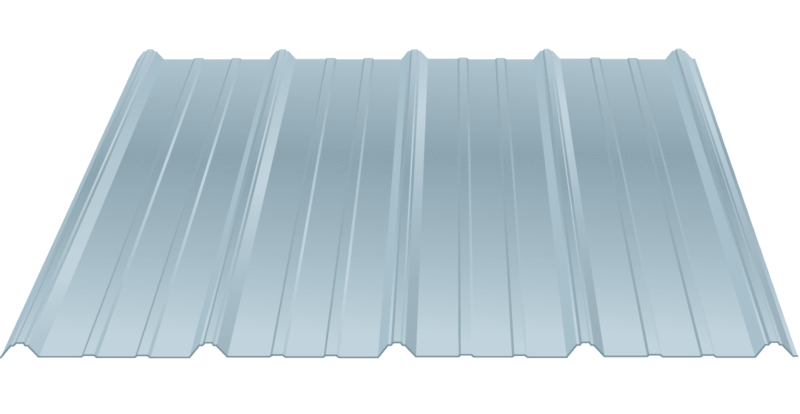 Corrugated metal roofing panels are an exposed fastener design.